Have you ever dreamed of visiting Tatooine or the forests of Endor? Don’t want to be one of the guinea pigs of RX-24’s self-proclaimed “first” flight (roughly 5-minutes) for Disneyland’s Star Tours? Don’t worry! Take a regular plane (and skip the long lines at Disneyland) to the following actual locations from your favorite Star Wars movies. May the force be with you wherever you roam! 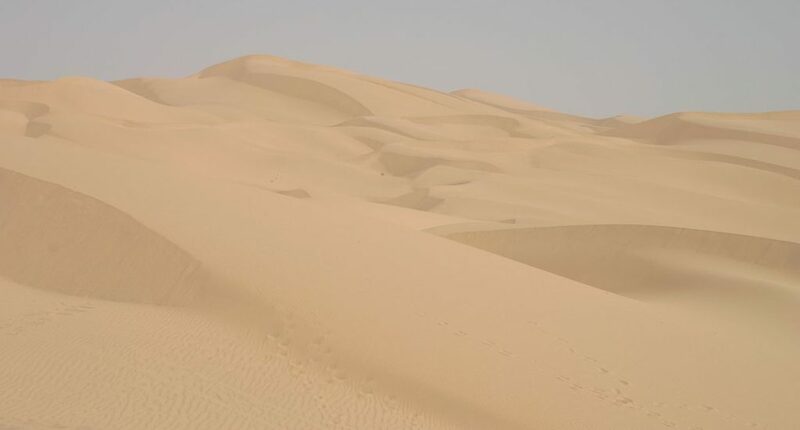 Though Tatooine’s first appearance was in Star Wars: Episode IV – A New Hope, Death Valley and Yuma Desert, both in California, were featured in Star Wars: Episode VI – Return of the Jedi. As both locales are dry, desert environments, these were a natural choice for depicting the deserts of Tatooine. 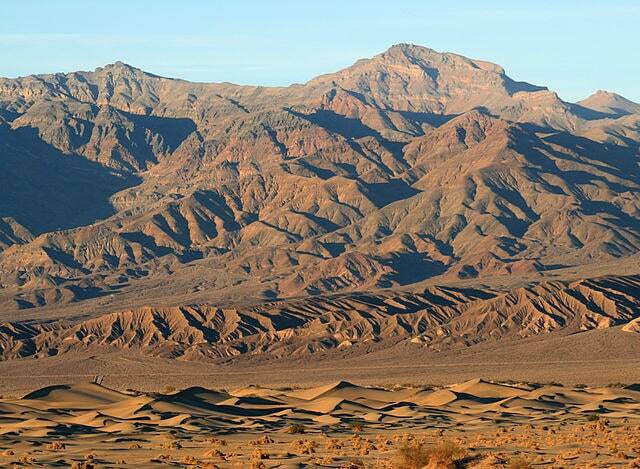 Death Valley has awesome sand dunes, rugged mountains, salt flats, beautiful canyons, and spring-fed oases. It’s the largest US national park outside of Alaska. Bring supplies for Death Valley’s extreme weather range (lowest temp recorded: 15 degrees to highest temp recorded: 134 degrees) – the change between the temperature during the day and during the night can be 40 degrees. Bring a paper map; GPS and cell phones don’t work in the area. If driving, bring a spare tire or two; the heat and sharp rocks frequently cause vehicle breakdowns. Be prepared for sudden wind storms, especially during the night and during spring. Tell someone where you’re going in Death Valley and when you expect to return. The Yuma Desert, home of the Imperial Sand Dunes (aka Glamis), is located in the southwestern corner of Arizona, extending west to the Colorado River. It touches the California border as well as Mexico. When you’ve quietly breathed in the desert air and snapped enough selfies pretending that you’re falling into the Great Pit of Carkoon, break out your inner off-road enthusiast and drive a dune buggy across the shifting, rolling sands. Just don’t forget to get your permit beforehand. Save money by buying your permit off-site . Don’t forget to check out the rest of Yuma, AZ for its rich Native American and Mexican history and culture! Endor’s first appearance was in Star Wars: Episode VI – Return of the Jedi, where we fell in love with the Ewok warriors (cute? Gee, I hadn’t noticed…) and the lush greens of Endor’s forest. Redwood National Parks in Crescent City in Northern California, with their famously tall, beautiful redwood trees, was the perfect backdrop to contrast the small Ewoks with the tall AT-ST walkers. 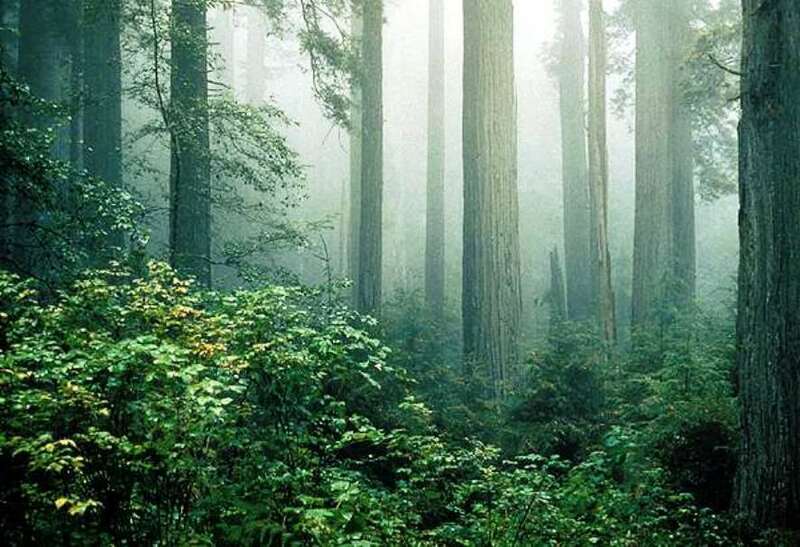 The Redwood National Parks are not only the home to the tallest trees on earth; they also host beautiful “prairies, oak woodlands, wild riverways, and nearly 40 miles of rugged coastline.”  Whether you are looking up at the tallest tree in the world or driving through one of three coast trees, you’ll truly feel like you’re in another world. How tall are the tallest trees? The tallest known redwood is 379 feet tall. At roughly 28 feet , the AT-ST walkers are tiny, but I suppose that’s something compared to the average Ewok height at roughly 3 feet . In my book, that makes the Ewoks’ victory over the walkers even sweeter. If you plan on camping in one of the Redwoods four campgrounds, you’ll need a permit. There is a $35.00 per night/per site fee to camp. Reservations can be made to camp during the summer season. There are no blackout days to see the Redwoods. The visitor center (open from 9:00 am to 5:00 PM PT) is only closed for Thanksgiving, Christmas Day (Dec. 25), and New Year’s Day (Jan. 1). While the weather is usually mild in the Redwoods (mid-40s to low-60s°F), it does rain, especially between October and April. Be prepared with rain gear and non-slip hiking shoes. We first see Yavin 4 in Star Wars: Episode IV – A New Hope, when the first Death Star is pursuing the rebel alliance, confident that any technical plans the rebels have obtained are of minimal consequence. Ha! We all know that Admiral Motti couldn’t be more wrong as the rebels kick some serious imperial behinds and blow the Death Star into beautifully-ringed smithereens. And who could forget the awesome throne room of the Great Temple of Massassi on Yavin 4 where Princess Leia presented Luke and Han with their medals of honor? 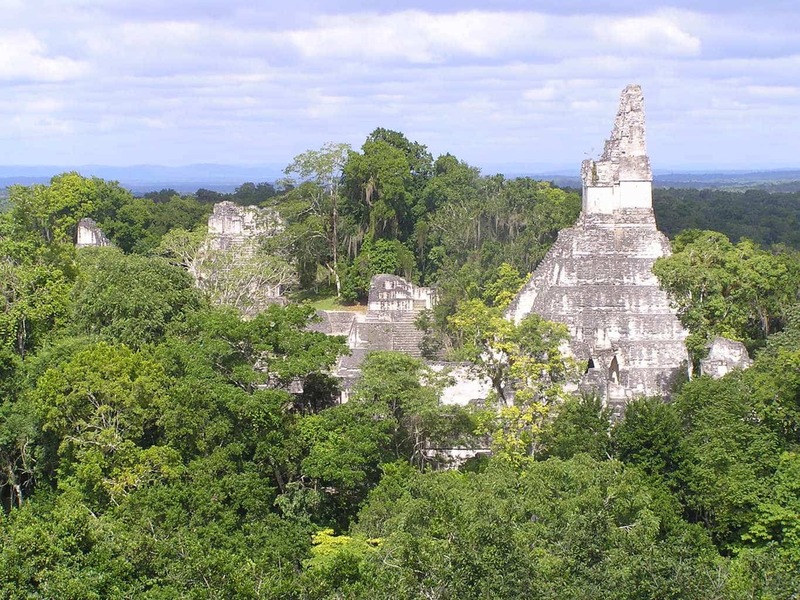 Seeing the entire Tikal National Park takes several days, but one can see the greatest temples and plazas in just one day. If you’re visiting for the first time, you should hire a guide (available at the visitor center near the entrance to the park), which charge around 150 Quetzals (roughly $20/£16) for a half-day tour of the ruins. There are no banks or ATMs in Tikal, and since credit card usage is iffy, it’s best to bring quetzals as your primary payment method. Don’t forget to bring a lot of insect repellent with you. You’ll need it! *Note*: While the information presented here is accurate as of the date of publication, please make sure to verify dates and prices as these are subject to change at any time by any given institution/company. I’m glad it helped! Happy traveling! Great tips. When someone isn’t aware of important things that can greatly impact their experience, then it’s up to other viewers/readers to assist, so here it occurs. Really nice of you to say! Thanks, JBob! Thanks! So glad it was helpful. Happy travels! An impressive share. I recently passed this on to a colleague. Hi there, I discovered your site by way of Google whilst searching for a related matter, your site came up, it appears to be like great. I’ve bookmarked to my favourites|added to bookmarks. Yeah bookmarking this wasn’t a risky decision, outstanding post! Something this good needs to be shared!